As the deadline approaches, are the Colorado Rockies going to be buyers or sellers? For the Rockies, June has been rough. This month, their 9-16 record has put Colorado 8.0 GB of the Arizona Diamondbacks for first place in the NL West. Colorado currently sits at 39-42, and their hopes of returning to the postseason are on thin ice. 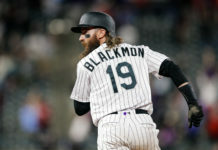 A team led by Nolan Arenado and Charlie Blackmon, who were both top five finishers in NL MVP voting last year, Arenado and Blackmon are both right in the prime of their careers and Colorado has built a good enough roster around them to win games. Do not waste your MVPs, Colorado. Spending over $100 million on the bullpen last offseason surely makes Colorado a buyer, and that reason alone might have the Rockies committed to making the postseason. Colorado’s bullpen ranks dead-last in all of baseball and trading for an arm is exactly what the Rockies need to do if they want to stay in contention. Some potential targets are Padres reliever Brad Hand (2.43 ERA), Athletics reliever Blake Treinen (1.03 ERA) and Orioles reliever Darren O’Day (3.12 ERA). Nolan Arenado is set to become a free agent after the 2019 season. Arenado has made it clear that he wants to win, and the Rockies chances of re-signing Arenado will be slimmed if Colorado fails to make the postseason this year or the next. Selling at the deadline would show that the Rockies are looking at their future, and that is a future that Arenado may decide to pass on. Colorado currently sits 5.0 GB of the Cubs and Phillies for the NL Wild Card spot. 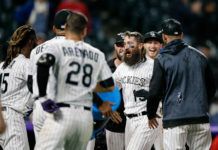 There are a lot of teams in front of them that are just as worthy for a postseason bid as the Rox are, and failing to win their two series this week against the Marlins and Giants could very well be the nail in the coffin in making the Rockies sellers. 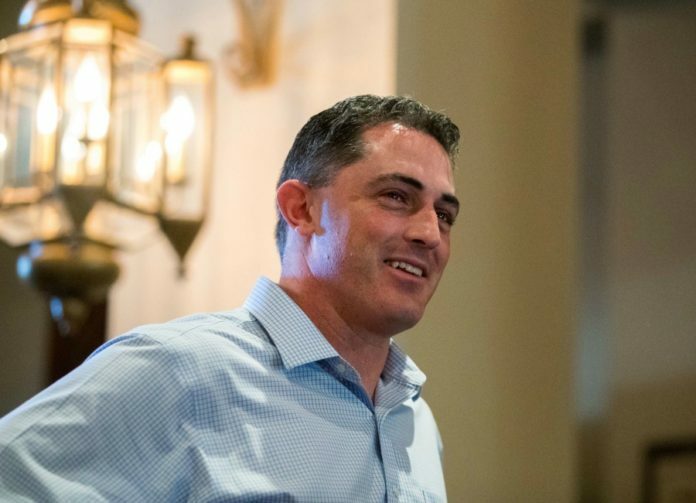 If Colorado continues to slowly slip out of playoff contention, General Manager Jeff Bridich may look to sell some of the teams expiring contracts at the deadline. DJ LeMahieu, Gerardo Parra, Adam Ottavino and Carlos Gonzalez are all set to be free agents at the conclusion of the season, and potentially getting something in return for one of them could be a smart investment. LeMahieu would bring in the biggest return of assets for the Rockies and he may already have a potential suitor. It might be smart to look at getting some assets for LeMahieu, who is all but surely on his way out at the conclusion of the season. Ottavino has represented a sliver of light in the darkness of the Rockies bullpen and playoff contenders will be licking their chops at the idea of acquiring “Auto.” Ottavino’s .085 ERA and 14.5 SO9 is a price tag that the Rockies could certainly cash in on. With the emergence of SS Brendan Rodgers in Colorado’s farm system, the future is bright for the Rockies and trading for some more young talent might make it even brighter. Colorado has the youngest starting rotation in the big leagues and has some young emerging bats to fuse with that. With Rodgers, Colton Welker, Peter Lambert, and Riley Pint on the way, the Rockies have a chest full of prospects who have the potential to make a big impact at the Major League level. The emergence of Trevor Story playing like an All-Star, and the young guns of David Dahl, Ryan McMahon, Kyle Freeland, and Raimel Tapia have Colorado set up for success beyond the future.